No true coffee lover should miss out on lates trends! 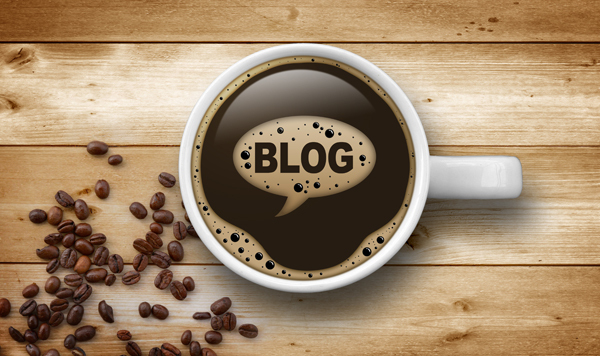 An industrial engineer and former Starbucks executive (as a "director of profit improvement") Mike Caswell has long thought that there were things in the coffee industry that were just never offered to customers, namely freshness and choice. Historically, he says, companies marketed their coffee as fresh off the basis of when their coffee was brewed or how freshly ground it was. However, that's not really what makes the difference. "For a long time, everybody was ignoring how long ago the beans were actually roasted," Caswell says. "Industry insiders will acknowledge how important that is to quality, much like the freshness of bread. But because there hasn't been an industry-wide adoption of how to best provide fresh coffee, people don't want to talk about it." That's when Caswell's engineering background came into play. He began tinkering with disassembled vacuum cleaner parts in his basement in 2003, and with a lot of time and some help from some mechanical and electrical engineering friends, he created what has officially been patented worldwide as the Javabot. The Javabot combines every aspect of the coffee roasting experience, transporting beans through Caswell's store via a maze of clear tubes and pressure, sending raw green beans to a roaster, roasted beans to holding chambers, and small amounts of precisely measured roasted beans to Swiss-made brewers for grinding and eventually brewing. When the Javabot was ready for public consumption in 2007, he opened his first store, aptly named Roasting Plant, in Manhattan's Greenwich Village. Many early investors asked Caswell why they should invest in his shop, which is located less than a block away from an existing Starbucks. What would keep customers coming back instead of walking right down the street to the familiar chain? "My answer then was that you have to offer a differentiated and legitimate experience for the customer," Caswell says. "And I wouldn't answer differently today. 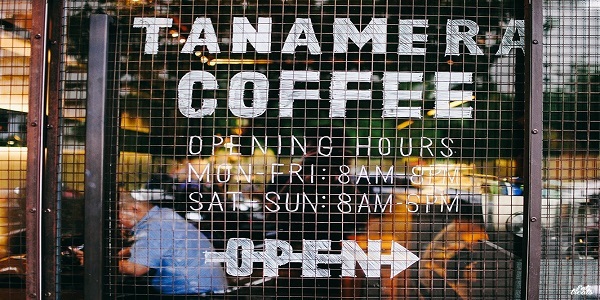 I was convinced this business would work in New York because the city just has a really active coffee culture. At the time, Starbucks was just cranking along and opening stores every day. But I saw vulnerability because they weren't focusing on freshness or choice. Additionally, New Yorkers are one of the few populations on the planet that are always looking for something better, newer and more interesting, a higher contribution to a higher quality of life I guess you could say." The entire experience at Roasting Plant is unique. When you enter, you'll be greeted by friendly baristas (Caswell says a non-intimidating employee defines his "legitimate experience"). Then it's time to make a choice—deciding from 11 different types of beans onsite—before watching your selection fly through the Javabot above your head and into the roaster. Depending on the roast, you'll have your drink within a few minutes. 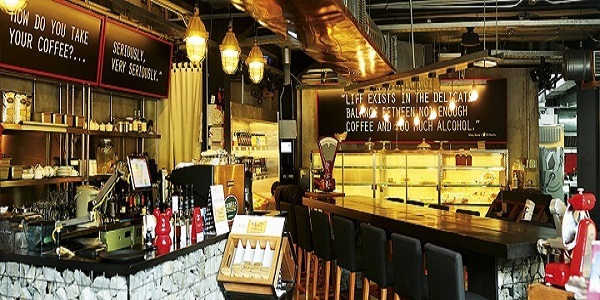 If hungry, you can opt for award-winning pastries from the locally revered Tom Cat Bakery or settle into one of their many modern seating areas, including long couches, high stools and individual tables, with plenty of outlets and free wi-fi for the computer-toting clientele. Roasting Plant now has two locations in lower Manhattan, and many of the regular customers consider Roasting Plant's coffee the best they've ever had. According to a recent Yelp review by Jeni Y., "dorky engineering + delicious coffee = love!! I gravitate towards Roasting Plant whenever I'm within a five block radius, pulled in by the wonderful, gadgety, and incredibly genius way that my coffee is prepared. I'm now spoiled rotten and demand that ALL coffee I drink in my future be first flown above my head." Financially, Caswell is projecting growth of 51 percent, year-over-year, in 2010. From an on-the-ground retail perspective, the businesses are doing great, it's just a matter of growing to more locations. On the other side of the equation, Starbucks has seen unprecedented competition in the market in recent years, with Dunkin' Donuts, McDonald's and other fast-food chains offering a similar grab-and-go product. According to a company spokesperson, Starbucks opened their 182nd franchise on Manhattan's Upper East Side this week, so clearly they are not going to cede their market share. They still drive the industry because of their reach and their take-home and brew business, but independent shops are in a completely different segment of the market. "In the last few years there's been a leap forward here in America for an understanding of coffee, what makes good coffee and what the proper preparation techniques are," says Andrew Hetzel, an industry expert and founder of Cafemakers, a consulting business for the coffee industry. "As a result of the economic downturn, the overall number of coffee shops has probably declined as has the number of businesses starting. But that's not a bad thing, because the shops who are doing a good job have survived and are prospering." In the ultra-competitive coffee market, low-cost operations and successful branding are important to maintain profitability, due to the obvious low margins in a single cup of coffee. But as Americans continue to learn more about java, about what they like and don't like, the smaller shops that focus on quality, freshness and customer experience are the ones that are continuing to succeed. So while Starbucks and independent coffee shops exist in different segments of the market, much of the credit for wetting Americans' palettes (or perhaps it was a re-introduction) to stronger, bolder, European-style coffee goes to the Seattle-based behemoths. Unfortunately because of the limited supply of high-end beans in the market, Starbucks is unable to buy some of those batches. And that's where smaller shops hold the advantage. If you think about it like fine wine, there just are not enough aged bottles to be sold in bulk, which is what drives up the price but also the quality. Coffee is quite similar. "Many independent coffee shops across America actively seek out those locations where Starbucks operates, as it will have already done the ground work of establishing a coffee shop culture in that area," Billy Hulkower, a spokesman for consumer intelligence insight at Mintel, said in 2005. "Starbucks' rampant expansion has created an ever increasing demand for premium coffee, while opening the market up for competitors as well." For Caswell, he learned a lot of entrepreneurial lessons along the way that are not specific to the coffee industry, struggling to raise capital with potential investors early on by convincing them his business could succeed. "As I reflect back now, the critical things I learned were to have passion, persistence and patience," he says. "You have to believe with all of your being that what you're trying to achieve and what you're pitching to people is legitimate and will succeed. That's something you need to do over and over again, and then to learn to deal with the many rejections that will come and not to take them personally. I kept my end goal square in sight and kept going, and I think regardless of the industry you're in, you need to commit yourself with unending effort and passion." As premium coffee and a passion to attain it grows here in the U.S., independent shops like Caswell's will continue to succeed. 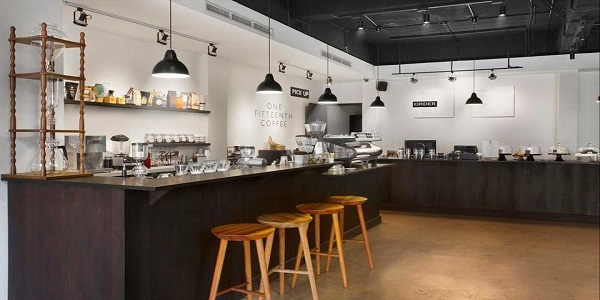 And while his immediate goals remain on maintaining a high quality experience for his two stores in New York City, Caswell has fielded calls from every part of the world to both franchise his stores or to license out the Javabot. He admits that the company's next challenge is their growth and how to handle it, but as an entrepreneur, that's not a bad problem to deal with. And to answer the question of how fresh your coffee should be is a matter of opinion and preference for each individual consumer, says Caswell. "Somewhere between one day and seven days is optimal. Again, coffee is like a really good wine in that it improves a little bit with age. If we're talking about my personal preference, I lose interest once the coffee has been out of the roaster for seven days. After that, it just doesn't deliver the flavor any longer." 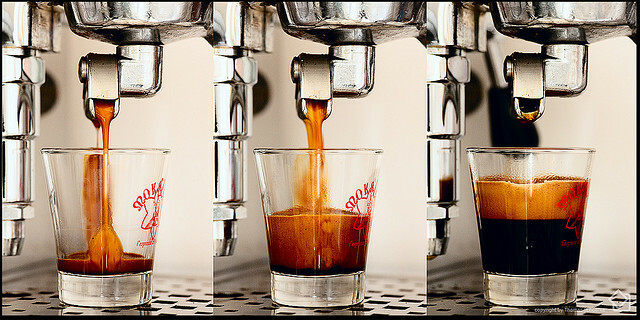 Espresso is usually enjoyed as a part of a specialty coffee drink like a latte or a cafe mocha. Many people enjoy espresso with a bit of cream or sugar but I prefer to drink like my coffee, black. Espresso is brewed coffee. It is not by definition a different bean but a different brew method. It is smaller than a cup of coffee but it can be just as strong in terms of caffeine. It is a small amount of finely ground coffee brewed with nearly boiling water. It is usually .8 to 1 1/2 ounces of liquid in total. In order to brew it you need an espresso machine. The machine brews coffee under pressure which is what gives the coffee the creamier, thicker consistency and the layer of crema on top. If you have never tried espresso I would highly recommend giving it a try. Many coffee’s taste better brewed as espresso than as brewed coffee. Coffee shop’s usually have an espresso blend that is used in all of their specialty coffee drinks but many single origin coffees that are good brewed as a pour over have explosive flavor when brewed as espresso. It can bring out and accentuate the coffees most desirable qualities making for the best cup of coffee you have ever had in your life. Watch out though, once you start down the road of espresso infatuation you may never return. My obsession with finding the perfect espresso has brought me to the point of owning my own Rancilio Silvia and brewing every coffee I come into contact with through it. It has become a regular part of my whole bean evaluation process. I love this brew style and find it to be the fullest envelopment of my tongues flavor sensors. 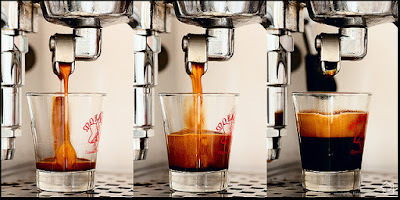 The many other brew methods all have their place and many coffees don’t perform well as espresso. I find the differences in what a coffee tastes like brewed as drip, pour over, stove top, chemex, trifecta and espresso fascinating. How do you brew coffee? What are your thoughts brewing coffee this way?